Our Wills Lawyers in Houma LA are knowledgeable and effective in executing your wills & testament in accordance with the law, giving you the peace of mind and comfort to know that you wishes will be followed. 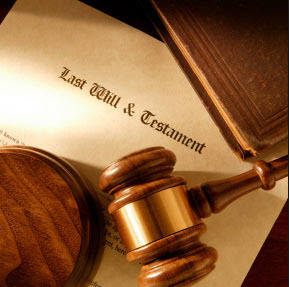 We are a top wills and succession lawyer in Houma Louisiana and can be contacted here. Ensure the order of succession: Louisiana law provides for disposition of your property in the event you die without a will. Did you know that if you die without a will, your separate property may go to your nieces and nephew before your surviving spouse if there are no children? Ensure the enforcement of your wishes: You have the peace of mind to know that your wishes will be carried out by an experienced Louisiana Wills Attorney. Choose a guardian for your children: If a tragedy occurs and your children are left without parents, a will provides that your children are taken care of by the person of your choosing. Waitz & Downer Succession Lawyers of Houma & Thibodaux, are devoted to answering all of your legal questions regarding wills & successions. There are cases where in fact no succession needs to be opened. You may contact us to determine whether opening a succession is necessary and appropriate in your circumstance. For help regarding Wills, Succession & Estate Planning in Houma and Thibodaux Louisiana, contact Waitz & DownerAttorneys at Law. We provide a free initial consultation. Call us today at (985) 876-0870.